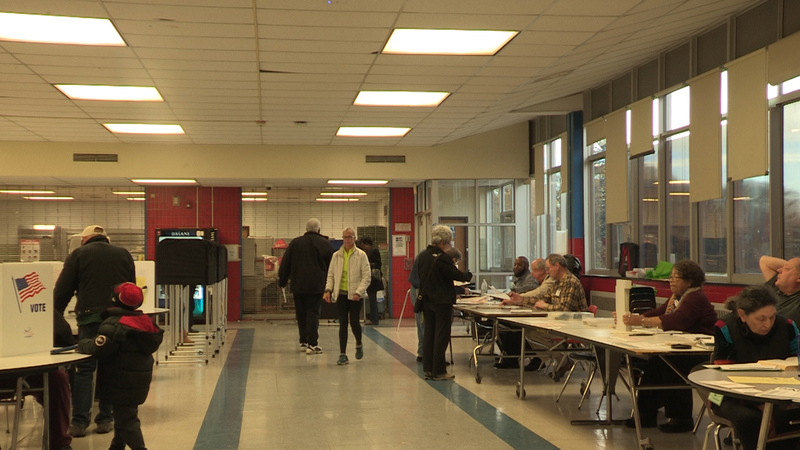 Voters of the 13th, 14th and 15th districts came to Nottingham High School Tuesday to cast their votes in the Midterm Elections. Former democratic mayoral candidate, Alfonso Davis, was one such voter. He said that coming to the polls to perform your civic duty is of the upmost importance, especially for minority voters. “I don’t want to call people ignorant but it would be ignorant to sit home and not exercise this constitutional right. Particularly if you are a black or brown person,” Davis said. Davis said that it can be hard to get people who historically did not have the right to vote to the polls, sometimes due to complacency, other times a lack of information. Despite this, he said that is essential that people come out and vote for something or someone they like. “Don’t vote against something, vote for something. Many times people go to the polls and they’re just ‘Oh I’m against this and I’m against that’ Well what are you for?” he said. Today was not just about voting, Davis said, but also about teaching his children how democracy works, so they are prepared when it becomes their time to elect officials. “That’s why I brought my daughters with me, so that they can see this process, they can understand this process and understand the importance of this process, and why it is imperative that we come to the polls and vote. As they say in the south, way back, ‘souls to the polls’,” he said.